A new film from director Darren Aronofsky seems to automatically conjure the word "controversy", along with the thrilling prospect of aligning yourself with one side or the other, or perhaps the sour feeling that all the lecturing and critiquing comes at the expense of the actual art. The appalling depiction of an ugly humanity in Requiem for a Dream (2000) caused just as much head-scratching as the more obviously oblique efforts Pi (1998) and The Fountain (2006); Black Swan (2010) ignited an uncomfortably public debate (read: infantile insult-exchange) between Aronofsky and New York Press critic Armond White. 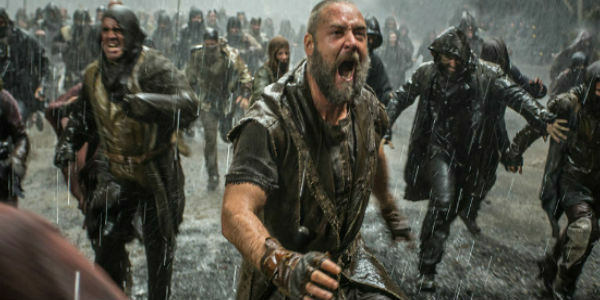 The announcement that Aronofsky's next film would be Noah, a big-budget retelling of the biblical flood and the famous ark, seemed an invitation for controversy to reappear, this time riding through the open floodgates on a valiant wave of religious fervor. And some critics tried - really hard - to take this promise of controversy and turn it into a juicy debate platform. 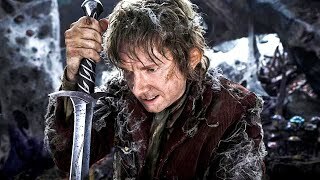 The pre-release banning of Noah in United Arab Emirates, Qatar, Bahrain and elsewhere helped to stir the pot even more, and there were enough fantastical elements in the trailers (swords of fire, for example) that it looked like Noah would deliver on the promise of providing either a threat to the Bible or a threat to some other evolutionary leanings. If anything, Noah surprised critics by subtly adhering to nearly every line of the Genesis account of the flood. Granted, this account - and the account of the entire life of Noah and the lives of his three sons - clocks in at less than 3,000 words (in the KJV). As you may expect, this is not enough for a script, and thus the "gaps" are filled with Aronofsky's imagination. Noah's interiority, too, is largely absent from Genesis: the Lord speaks, Noah obeys, and the only words he speaks are to his son Ham long after the floodwaters have receded. So while the film does indeed include everything that happens in the Old Testament account, it also includes a lot that does not. The thoughts, feelings, and interiority of Noah and his family will be addressed in a moment. Firstly, though, are the more glaring additions; namely, giant glowing rock monsters voiced by Nick Nolte. Yes. Dig through your old Sunday School notebooks all you want, but these "Watchers" won't be found. Conspicuously missing from all of the trailers and promotional material for Noah, the Watchers appear early on and play a pretty substantial role in the first two acts of the film. Their initial absence is understandable: this is the kind of fantastical, definitely-not-in-the-Bible addition that will cause grumbling - or more - among Catholic purists. And yet their presence doesn't feel wholly alien. In fact, the addition of this strange and staggering race - if you dare call them a race - feels necessary and fitting. The rumor has arisen that a battle sequence featuring the Watchers was at one point revised to feature the ark animals instead, perhaps complete with two-by-two battle formations and interspecies attack combosParamount and Aronofsky were wise to nix that idea. Again, the original Bible account is short enough that additions must be made to achieve a feature-length vision, and the Watchers were a weird but oddly seamless supplement to the cast of characters. Some critics complain that they simply look ridiculous, but I think their design adds to the overall intimation that this world - our world - was changed irreparably by the epic flood. Now: Noah himself. It goes without saying that Russell Crowe is one of the most admired actors working today, and his role in this film may be one of his best. The KJV offers little insight into what Noah is actually thinking, instead simply recounting his actions. Just as the Watchers were added to build the world and increase the length and weight of the story, so too were human thoughts and feelings added into Noah's character. This seems like a relatively straightforward concept: if your main character has no visible thoughts or feelings, or even just a blind and obedient faith, how can an audience member connect at all? Still, though, while the "controversy" has been relatively light compared to that over other films from Aronofsky's canon, much of the hubbub has surrounded Noah's motivations and actions - particularly those in the final act of the film. Without planting major spoilers, Noah's faithfulness is by no means a simple matter. The Lord-commands-Noah-obeys formula from Genesis, while still pretty much intact, is definitely complicated by Aronofsky and Co., and if controversy is going to spring from anywhere, it's here. Glenn Beck - a contrarian very much in the vein of critic Armond White - called Noah (the film) "strongly anti-human". This label is based largely on Noah's (the character) third-act inner conflict and, frankly, is just absurd. 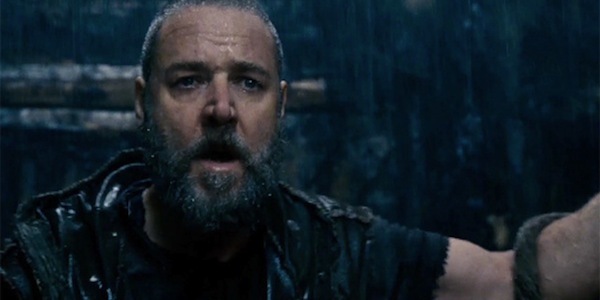 Crowe's Noah descends into a dark place, yes, and he considers some awful possibilities. He employs harsh words and harsh actions and, most importantly, he very nearly comes to resemble the evil men The Creator has chosen to wash away in the flood. He looks to the sky for what's Right and what's Wrong, and he and his family suffer while the sky remains silent. These instances and traits are a part of the character of Noah, but they're also a part of - you guessed it - everyone. You, me, Noah, his family, Darren Aronofsky, Armond White, Elvis, the Easter Bunny, Keyser Soze, and - aw, fine - even Glenn Beck. Humanity, even when boiled down to a single unit, has both good and evil. Noah doesn't "hate humans", and actually articulates a position at the end of the film that is literally the exact opposite. It seems to me that the thing Beck calls anti-human is really quite pro-human, the inner turmoil absent in the words of the Bible but very definitely present in the feeling of it. Beck shouldn't be faulted for such a comment, nor should anyone upset or offended by Noah's intentions shy from voicing such opinions. The debate between two sides of that controversy, after all, is contingent on the debate within Noah himself. Aronofsky knows this, and was steady enough not to sway from his vision. On a purely technical note, his filmmaking is better than ever: the shot of Noah climbing the ladder, the shot of the storm-covered Earth, and the instantly iconic shadowy image of Ham coming to his father's rescue prove Aronofsky is at his peak. Still, this is probably Aronofsky's least personal work - the close-quarter character examinations of Pi and The Wrestler aren't at play here, and while the character of Noah is drawn quite well, the confines of a big-budget blockbuster based on what may be the most widely-read story of all time just doesn't allow for as much intimacy. So Noah didn't generate as much controversy as one might expect, but it did elicit a response from both religious and non-religious film critics (and also Glenn Beck, who, it occurs to me, is not a film critic at all). It's nothing if not interesting, and despite some faults in pacing makes for a thoroughly enjoyable chunk of entertainment. On the most basic level, Noah is just that: entertainment. It does important things, too, and starts important conversations, but the entertainment value is rightfully emphasized with equal gusto by Aronofsky and his team. 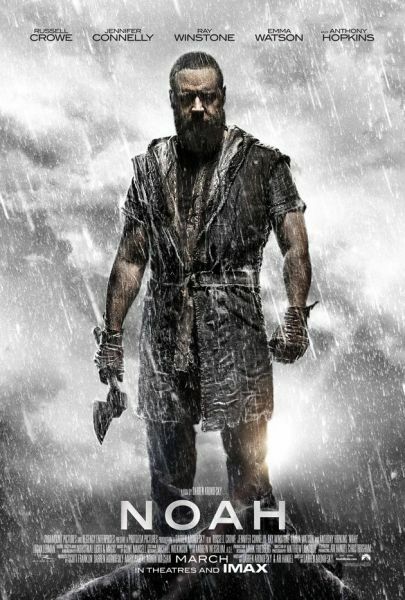 Whatever your religious or artistic predilections are, Noah is worth a watch - just bring your umbrella. What did you think of Noah? Let us know in the comments below!